IG Blog Series #2: Raising your IG Stories Game! - Take Some Risk Inc. When we think of IG Stories, first thought comes to mind is a Social Influencer highlighting their day or weekend. However, with more than 400 million daily users, more and more brands are using Stories to engage with audiences and build brand loyalty. This is Part 2 of the Instagram blog series. In Blog: Part 1, I touched base on using Instagram Stories to help boost your appearance on your users’ feeds. 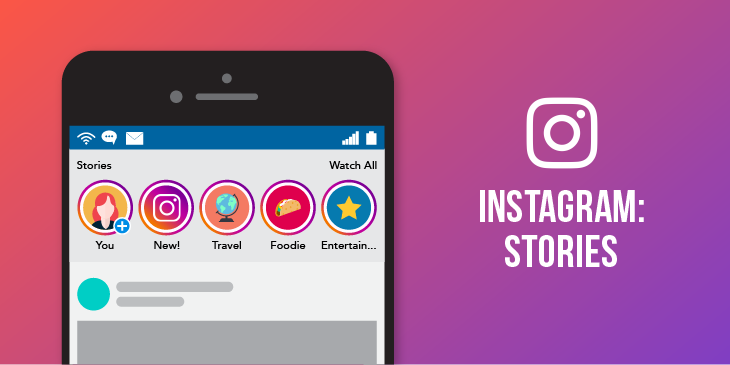 In this blog, I wanted to deep dive further into some of the strategies for Instagram Stories that will help your brand to drive ecommerce. As I iterated in the previous blog, the IG algorithm uses time spent and interactions as a factor in determining popularity. The more engagement and interactions users perform the more likely your posts will show up in their feed. As I highlighted in my previous blog, Shopping Tags are a way to connect your ecommerce efforts to your IG profile. There are 2 ways to utilize them: IG Stories and IG posts. IG Stories: According to Instagram, one-third of the most viewed Stories on its platform are by businesses. Naturally the next step for them is to include product stickers in their stories. This allows shoppers to quickly access product information and shop seamlessly. IG Posts: Through your organic posts you can tags products in your image posts. Depending on your image, I would suggest that you limit how many items you tag in a post to avoid the clutter (around 2-3 tags). These tags are great to showcase new product arrivals or items on sale and right back to your website. Shopping Tags are highly recommended if you are selling a consumer good(s). This is an opportunity to not only showcase your latest arrivals or push certain product items, but the opportunity to create a mini ecommerce store right within your Instagram profile. Audiences do not want to see a brand constantly pushing posts about product sales and promos, rather, they want to be engaged with the brand itself and become loyal with brands they can relate to. One way to engage with fans is through Polls/Questions, these asks the audiences to respond with your stories and posts. Polls/Questions are also a great way to get insight on your existing and potential customers by asking what they think of a new product launch or something about your business. If you are unfamiliar with carousel ads, they are multi image ads that you can flip through in an IG post. They were the best converting ads during my time at Best Buy as you can either tell a story or post a line up of various products your audience can browse. From my experience, there tends be a higher conversion rate with this feature when used to portray multi products. As part of your strategy to engage with your audiences, storytelling is a key element not only to strengthen your brand’s reputation, but also showcasing product lines and arrivals as well. Leveraging the carousel feature, you can create a story for your product. Either creating a story to highlight a new product or showing behind the scenes videos to include your customers towards your brand. You can then curate these stories and pin it as a Highlight. They can be used to: advertise a sale, show product features, or update followers with new content. Its best practice to post as often as possible to your stories. I would suggest everyday or other day to keep your audiences engaged and informed as they do disappear within 24 hours. The stories don’t always need to be professional looking images or videos, as audiences love brands that authentic and relatable to themselves. However, keep in mind with the above mentioned of storytelling, each story or series of story still need to have some thought and planning. Consider how you want to keep your audiences tuned in and engaged, while seeking out more content from you. Instagram Stories aren’t as exposed as Instagram posts, so this is a perfect opportunity to test ideas. If it’s successful then you can always be duplicating it as a post. They are an important piece of the ecommerce puzzle as they can help get more exposures for your posts and ease the path to purchase through brand loyalty. What’s your experience using Instagram Stories? Do you have a favorite tool that has worked? Comment below.